As your IRS Reporting Agent, you trust ASAP to file your payroll tax returns and payments timely and completely. 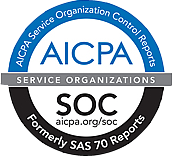 ASAP is SSAE-16 certified and carries a $1M Bond. Regardless, we must remind you that you the taxpayer are the ultimate party responsible for your employment taxes. Our service guarantee does not eliminate your liability. Here is how you can verify directly that we are holding up our end of the bargain. Colorado State Unemployment: Register for access to your payment/filing history by going to MyUIEmployer. If that is too much, you can call the agency at (303) 318-9100 or 800-480-8299. Colorado Wage Withholding: Register for access to your state withholding and sales tax accounts by going to Revenue Online or contact the Department of Revenue at (303) 238-7378. For State Revenue or Unemployment contacts and/or websites in the other 50 states, please contact your account manager and we will be glad to provide you with the proper instructions for any other state. To help your review, run the Tax Payments Made report that will show your tax payment details against any period. *It's worth noting that there are many phishing emails floating around that are purporting to be from EFTPS and/or the IRS. Do NOT click on any of these; delete them immediately. It is safe to say they are all fakes as the IRS and EFTPS do not send emails regarding payments or filings.